While Aries are always on the go or always doing things in a hurry, Taurus people are often lazy and tend to take their time. While Aries are impulsive and like to take risks (sometimes failing in the process), Taurus possess an “I told you so” kind of attitude. This conflict could be the end of a relationship between an Aries and a Taurus. For the most part, Taurus can be too dull/boring in life which obviously won’t work out well with an Aries who is full of life, energy, and fun. However, all the blame in this relationship can’t be put on the Taurus. Aries are extremely impatient and impulsive while a Taurus is able to show and express patience and caution. This being said, Aries “craziness” might upset a Taurus and make he/she feel uncomfortable. On the positive end, Aries “craziness” could also bring some much needed joy and entertainment to way the too conservative Taurus’ life. If the Aries is a man and the Taurus is a woman fights will compose most of the relationship due to the fact that the Taurus will be more dedicated and serious about the relationship while the Aries will be more interested in having a good time. The Taurus woman would rather be around the house spending quality time while the Aries man who would want to go out and have fun and do exciting new things. Aries and Taurus can be a challenging relationship to make work. The very low scores represent the initial compatibility of this match. However, you are both strong willed enough to make this work, and if you succeed the scores would be much higher. Aries will impulsively rush into a whirlwind romance. Taurus is slower than Aries, more romantic and wants to be treated like royalty. A Taurus woman wants to bask in glowing candlelight and be adored. In contrast, the Aries man needs immediate chemistry to move from the first date to the bedroom, or he just disappears. Aries has strong physical traits. Many sports stars and accomplished women are Arians. They don’t need help or fireworks in the bedroom because they are the fireworks. Emotional and tender, a Taurus is a loving partner. 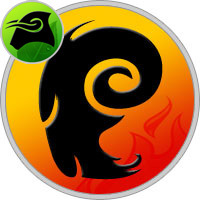 Taurus will often be the one to initiate romance and moderate the fast tendencies of Aries. On the other hand, Aries will bring adventurous into the lovers’ bedroom. Initially, these two astrological signs show that opposites do attract. Unfortunately, a few times in the bedroom together may prove otherwise. Aries will get bored, and Taurus will be fed up with Aries’ rowdy ways. Long-term relationships with this combination usually do not work. Taurus will not take any risks, wants to be financially stable and plan for tomorrow. Aries, while working hard and making money, often doesn’t plan and runs at the speed of light into the next risky adventure. A Taurus, either man or woman is more of a follower, doesn’t mind being alone and likes all of the creature comforts around them. A Taurus woman loves cuddling up on the sofa with her lover just watching TV. Aries would rather be out on the town surrounded by fun, noise and crowds. Aries is a born leader. He wants all of his high-energy friends to follow him along on the next thrilling adventure and will want to shake Taurus into more adventure and risk taking. Astrologically, these two are not particularly compatible signs of the zodiac. Their horoscopes would encourage them to find a better way than all of the arguing, or find a new lover. However, nothing says that if they adore each other and do their best and compromise when needed, that they couldn’t have a successful love relationship.